Happy birthday to my friend Jo! 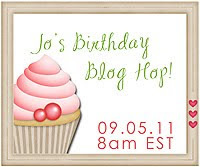 Jo had her birthday yesterday and to celebrate she's having a blog hop and YOU get the presents! 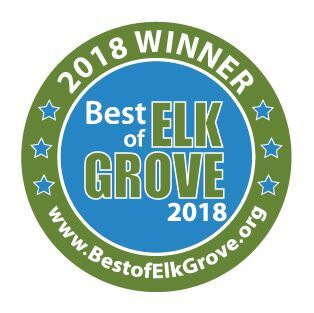 Woohoo!! To win the candy: you MUST follow everyone's blog on the hop and leave a comment on each post. There will be a Mr Linky on Jo's blog where you can link up when you are done. You have until Sept 11 at 5pm EST time to finish the hop! Here's the card I will be sending Jo for her birthday! :) I used a stamp from Lawn Fawn's Sophie's Sentiments and some Echo Park Victoria Gardens paper. The twine is Black Licorice Divine Twine. Next up on the hop is CORINNE!! Enjoy the hop! Wonderful card! Love the mixtures of patterns, Ashley!! love this card! the layout and colors, with the twine = its perfect! Very pretty card!!! I love the design! Your card is just adorable! Love the black and white twine! 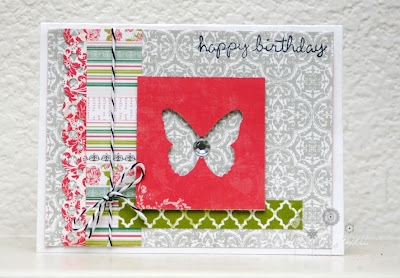 Pretty card, cute butterfly detail! pretty, love the butterfly cut out and the twine adds such a nice touch. The butterfly cut out is so elegant! Very pretty! Very pretty card. I love the negitive cut of the butterfly. Such a pretty card Ashley, so intricate! Love the color combo you used too! I'm a new follower here, nice to hop with you and I look forward to blogging with you! Gorgeous card! I'm sure Jo is going to love it! The different patterns are beautiful! pretty card! i love the papers you used! Nice Card! I am your newest follower hope you can follow me whenever you get the chance! Ash, this is adorable! I love all the different patterned papers! :) Thanks for joining me on my Birthday Hop! :) Love you! Such a cute card!! I'm your newest follower. Yeah! I am lucky follower 300! I love your project! Super cute card! I love Echo Park!! 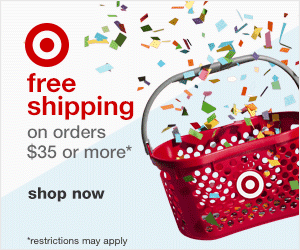 Your card is wonderful! I love the cut out butterfly. I love that idea:) TFS! I am a new follower of yours. I hope you stop by and follow me too:) Excited to see more projects from you! Your card is soo cute.I love the cut of the butterfly and the blk twine. What a pretty card. I love the layout and the colors. TFS. I'm a new follower too. This is a lovely card, very elegant! Really pretty card....love all the layering with the pattern paper! Lovely card. I like your use of different papers. Lovely card! I love the way you have combined the colours! Very creative card! I am a new follower. Love the butterfly and the Bling in the middle!! Awesome card. Great hop!!! Lovely card, the colors are beautiful. I am a new follower and love you bolg.